When working in an environment that has a proxy it is often very useful and sometimes completely necessary to set your http_proxy system variable so that your Linux machine can access the internet. But there is a problem with just setting it manually. Take the following example. You and your team are setting up a Linux machine for dev work and you all know the root credentials and are logging in as root just to set everything up. You want to install a package but can’t get though the proxy. Now here is the problem, you have to set http_proxy to a certain string that will contain your username and password for you entire network account (email, PCs etc.). If you set the system variable straight from the command line your password will be saved for the rest of your team (or whoever has root access to that Linux machine) to view. To get around this problem I created a very simple bash script that will set your http_proxy setting for your session and ensure there are no details left behind in the command line history file. You will need to amend the script where I have highlighted in red. 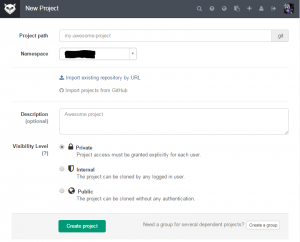 If you or your organisation are using GitLab then here are a few steps that you might find useful when creating a repo and pushing it to GitLab. After that your remote repo will be created. We now need to setup git on your dev machine. The steps below are just for linux as this tutorial is for Linux, windows is covered here(to be completed!). If you have an existing repo skip this stage. SSH URLs are strongly recommended. You will need to add an SSH key for each platform on which you will use git. cd to your directory where you wish to store you git repo. Create a directory for this project. If your see a long string starting with ssh-rsa or ssh-dsa, you can skip the ssh-keygen step. To generate a new SSH key just open your terminal and use code below. The ssh-keygen command prompts you for a location and filename to store the key pair and for a password. When prompted for the location and filename you can press enter to use the default. It is a best practice to use a password for an SSH key but it is not required and you can skip creating a password by pressing enter. Note that the password you choose here can’t be altered or retrieved. ssh-keygen -t rsa -C "you@youremail.com"
Use the code below to show your public key. Copy-paste the key (copy the complete key starting with ssh- and ending with your username and host). Now go back to your local git repo directory and run the git push command on the command line. It will ask for your password that you used to create the key. 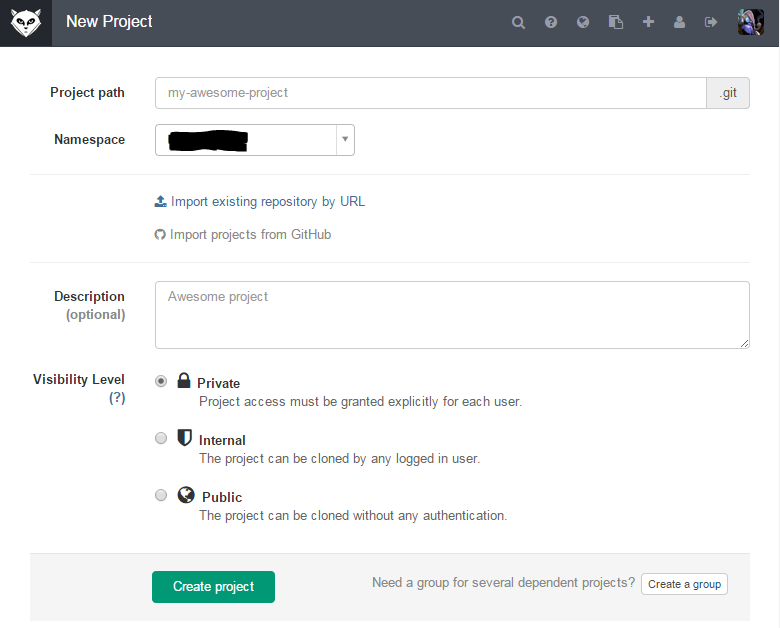 You should now be able to check on GitLab that a commit and push has been completed. This tells us that Gedit cannot use the normal GSettings backend to save our settings to disk and is just going to save them to (volatile) memory so when we exit the applicaiton our settings are lost. Not a very clear message at all if you actually want to fix this bug as it gives you no clues that it really wants you to install various other packages (one of them is dconf as we’ll see below). Again not very clear… but dconf wants us to install dbus, so I did that and found it was already installed! So I searched Yum and saw a package named dbus-x11. I installed this package and my settings now save. The solution steps are below. In this post I’ll go through the very basic steps of how to setup your FTP server on Red Hat based OSs such as CentOS and Scientific Linux. Here is my file, the changes I have made are in red and bold. Now you should be able to connect to your FTP server using the above user account (root probably wont’ work, hence the new user). You will need your server IP, to get this you can run ifconfig. I use FileZilla as an FTP client.